Hey Rachel - Can you tell us a little about what do you currently do? Hi there. I am currently working as a Physiotherapist in MSK private practice based in Reading, England. I assess and treat patients that can range anything from overuse/chronic injuries to acute sports or work related injuries. I am also due to undertake my Msc in Sports Medicine, Exercise and Health at University College London next year. What’s your favourite part of your job or area you’re most interested in? I take particular interest in shoulder injuries and the mechanisms in which the structures are individually affected. Like most physios, the best part of the job is taking the patient from severe pain and loss of function and rehabilitating them back to full activity pain free. The gratitude they express afterwards is beyond rewarding. 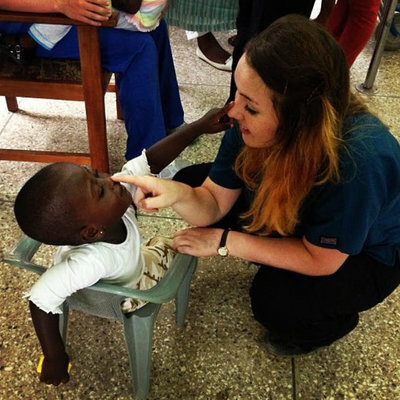 How long ago did you take your WTW placement and why did you choose Ghana? 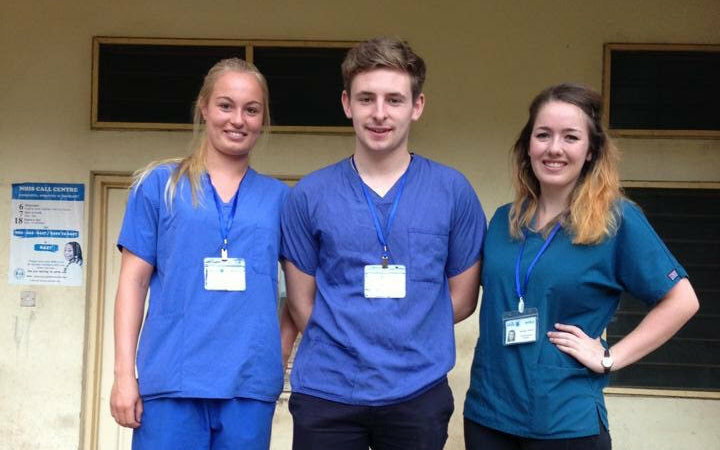 I completed a four week placement in June-July 2013 in Takoradi, Ghana whilst I was a 2nd year student. 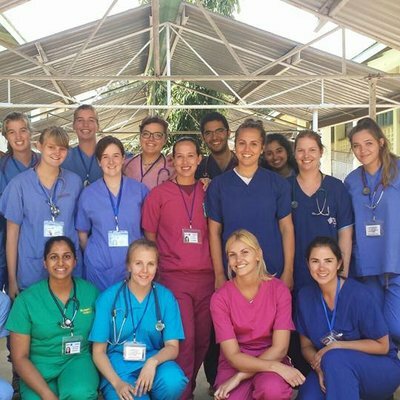 We are incredibly lucky with NHS in the UK and where physiotherapy is readily available; so I wanted to experience working in a country where healthcare was still a luxury and physiotherapy was a relatively new concept. Does anything stick out as a particularly memorable part of your experience? I still think is the best thing that I have ever done in my life. I spent three weeks living in the WTW accommodation and working at the regional hospital which at the time was one of two physiotherapy outpatient departments in the country. I saw patients who suffered strokes and limb paralysis walk miles each day to come to therapy. 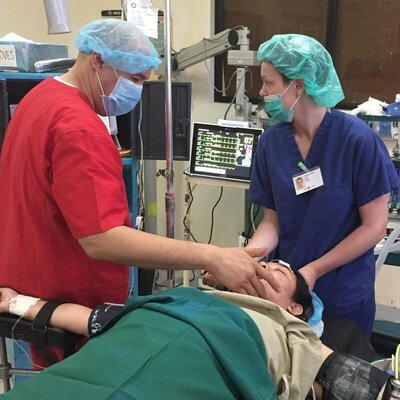 The final week I spent in a local village, working with local nurses in their clinics. I was astounded at how much pain and discomfort people live with but just carry on their normal activities. The whole experience was incredible and I met some great people too. You also had the opportunities to use your free time to explore the country and their culture outside of the placement. The obvious confirmation of how vastly different our societies are and how the citizens know very little about their health. I loved learning about their traditions and their cultures and how accepting the people are. But I learnt a huge amount about myself; this was my first solo trip and so I was pushing myself to my limits. I came away much more independent and planned my next trip away very quickly! How would you say the experience has led you to where you are today? Education is key! The information that I was able to provide to patients who then showed improvements in their conditions was superb for the both of us. People who understand the mechanisms of their injuries often undergo much more successful rehabilitation which I see too in my work today. And my confidence in my practice sky rocketed with this, which enabled me to progress through various promotions quickly. 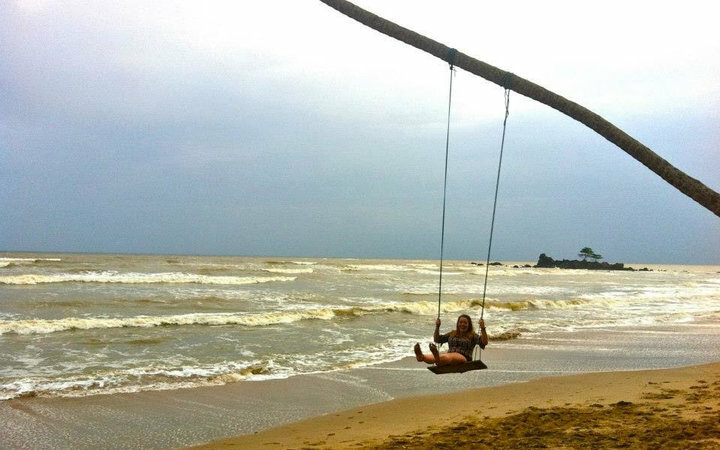 What would you say to those thinking of taking a Physiotherapy elective overseas? 100% dive head first in. Experience the diversity of healthcare and culture and you won’t have any regrets.